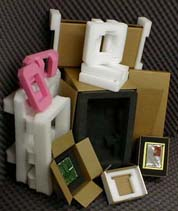 Packaging samples for wood, foam, corrugated, plastics, chipboard and custom packaging solutions provided by Techni-Pak Packaging Products, Inc.
Techni-pak Packaging offers comprehensive packaging development. Our design staff will work with your marketing and engineering departments to create the appropriate graphics and most functional and efficient inner packaging. 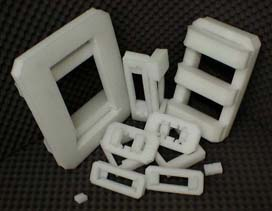 We will provide samples, prototypes and have the capability to drop test all designs to specific performance criteria. Copyright © 2008 Techni-Pak Packaging Products, Inc. All Rights Reserved.